Why not celebrate this Easter with these brilliant poems, activities and ideas for Easter-themed grammar sessions. 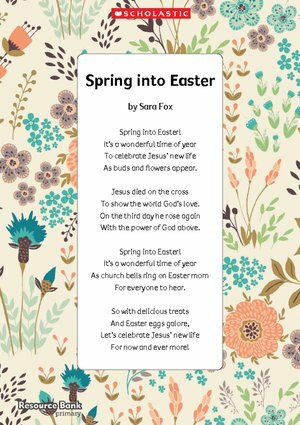 Sara Fox’s poems are truly versatile. They make a great starting point for traditional Easter activities and they’re the perfect complement to our carefully crafted grammar activities. Many children revisit the meaning of Easter every year through Religious Education lessons, assemblies and school plays. This is usually followed by a variety of traditional activities.